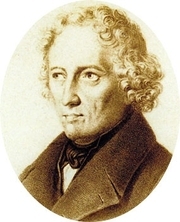 Jacob Ludwig Carl Grimm born in 1785, is the older of two brothers known as Brothers Grimm, Wilhelm Karl Grimm is the other. Each author published books separately and these names should not be combined with each other nor with a combined name such as Brothers Grimm or Jacob and Wilhelm Grimm. Thanks. Individual books can be combined by ISBN if there is one. -- The Complete Grimm's Fairy Tales is not at all equivalent to selections and editions intended for children. (ger)Jacob Ludwig Carl Grimm geboren 1785, ist der ältere von zwei Brüdern, die als Brüder Grimm bekannt sind, Wilhelm Karl Grimm ist der andere. Beide veröffentlichten auch eigenständig Bücher, die nicht mit "Brüder Grimm" oder "Jacob und Wilhelm Grimm" kombiniert werden sollten. Danke. Individuelle Ausgaben können mit Hilfe der ISBN - soweit vorhanden - kombiniert werden.. Die Gesamtausgabe der Grimmschen Märchen ist bei weitem nicht deckungsgleich mit Auswahlausgaben und Bearbeitungen für Kinder. Jonas Torp Bengtsson vandt debutantprisen for sin roman Aminas breve, og hans roman Submarino er blevet filmatiseret. I foredraget fortæller han om sin nyeste roman Et eventyr, der handler om et liv let på udkanten af samfundet. En dreng vokser op under påvirkning af sin anarkistiske far, der med sønnen i hånden rejser fra sted til sted, arbejder sort og betaler kontant. Drengen følges fra han er seks år i 1986 og til 2000, og det er et hårdt portræt af et liv levet som småkriminel og subsistensløs. eller bestilles på tlf. 7694 6917. Jacob Ludwig Carl Grimm born in 1785, is the older of two brothers known as Brothers Grimm, Wilhelm Karl Grimm is the other. Each author published books separately and these names should not be combined with each other nor with a combined name such as Brothers Grimm or Jacob and Wilhelm Grimm. Thanks. Individual books can be combined by ISBN if there is one. The Complete Grimm's Fairy Tales is not at all equivalent to selections and editions intended for children. Jacob Grimm is currently considered a "single author." If one or more works are by a distinct, homonymous authors, go ahead and split the author. Jacob Grimm is composed of 28 names. You can examine and separate out names.